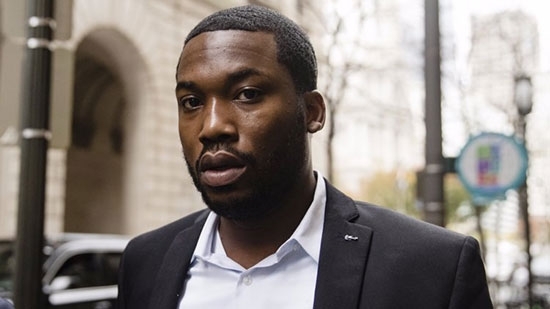 A judge in Philadelphia denied rapper Meek Mill's motion to remove another judge from his case. President Judge Leon Tucker said he does not have jurisdiction. "We have a judge that wears the same robe that I wear, that has not recused herself and has not disqualified herself," Tucker said. "I don't have the jurisdiction to do that. It's as simple as that." Mill, aka Robert Rihmeek Williams, wants Judge Genece Brinkley removed claiming she has a personal vendetta against the rapper. She sentenced him to 2-4 years in prison following multiple parole violations back in November. The Pennsylvania Supreme Court ordered him released last month on bail pending an appeal of that sentence. Mill's lawyers say they will file a motion with the PA Supreme Court to have the case reassigned. Authorities in Bucks and Lehigh counties now say that mysterious booms heard by residents in the middle of the night are being caused by someone setting off explosives. Officials say that around 20 explosions have rocked the area since April 2nd. Large holes have been found where some of the explosions may have taken place. Local and state authorities are being assisted by the FBI and ATF in the investigation. They are looking for the public's help in finding who may be responsible. So far no one has gotten hurt and officials want to stop this before someone does. If you have any information you can call them at 1-800-426-TIPS. A contractor working in the pressroom of a Lehigh Valley newspaper died after being pinned under a piece of machinery that was being removed. It happened around 5 p.m. Tuesday, 5/29, at The Morning Call in Allentown. Crews were dismantling the printing press when there was a loud boom. The 32-year-old man from Cape Coral, Florida, was trapped. The cause of the accident is under investigation. The newspaper was removing the printing press because printing operations had been moved off-site to Jersey City, New Jersey. The U.S. Occupational Safety and Health Administration has been notified.